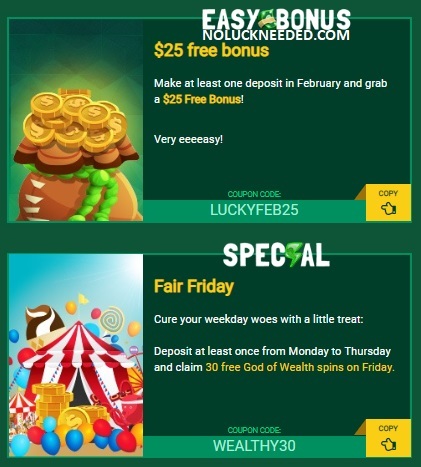 Make February your lucky month and play the best online pokies at Fair Go Casino with free chips and free spins! 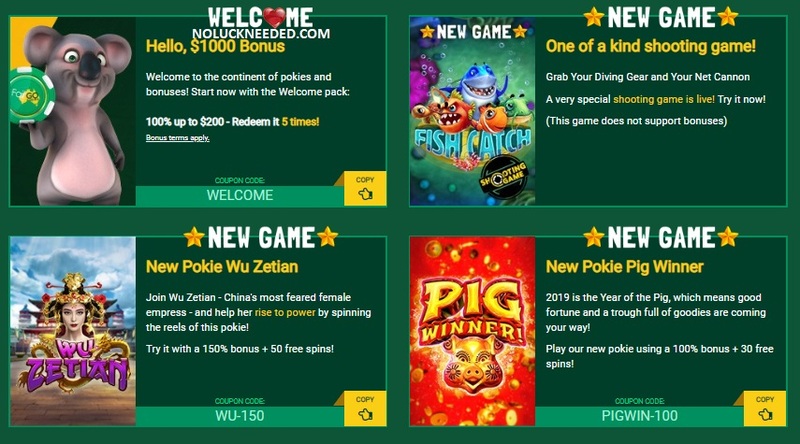 Use the list of February 2019 no deposit bonus codes below to claim your free chips and free spins this month. Please remember that terms and conditions apply to all casino bonus codes. Players are not allowed to redeem two free bonuses in a row. Additional coupons will be added to the list as they are released. 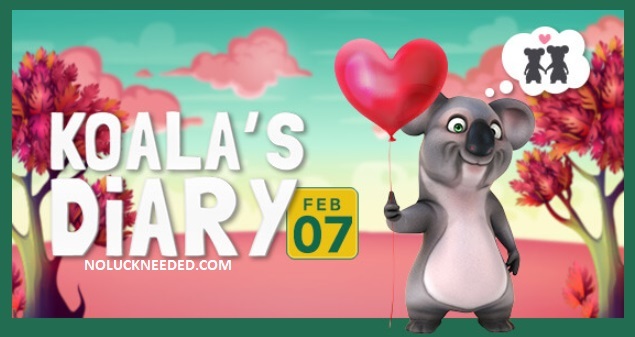 Keep an eye on this thread for Valentine's day no deposit codes and please share any Fair Go Casino coupons that you find. Good luck! Please note: In order to redeem this bonus you need to have at least one successful deposit made in the last 15 days | Maximum cash out for this bonus is $180 | Wagering is 60x | General terms apply. $10 Max bet rule. Valid 2/27/19 until? Please note: In order to redeem this bonus you need to have at least one successful deposit made in the last 2 days | Maximum cash out for this bonus is $180 | Wagering is 60x | $10 max bet. General terms apply; Valid 2/20/19 until? Bonus Terms: This bonus can be redeemed only if you guessed the winner of Oscars "Best Picture" nomination (redeemed the coupon code GREEN-BONUS) | No deposit needed | Maximum cash out is $1500 | The bonus is valid until March 1st | Casino Terms apply. Please note: In order to redeem this bonus you need to have at least one successful deposit made in the last 2 days | Maximum cash out for this bonus is $180 | Wagering is 60x | General terms apply. Valid 2/13/19 until ? PIG-30-WIN is still valid as of 2/4/19. There are love songs on the radio, sweethearts holding hands and romance in the air wherever you go. All of which can only mean one thing – Valentine’s Day is just around the corner. Just in a couple of days, we’re rolling out a sweet as pie promo that’s guaranteed to set your heart aflutter. So, don’t book a dinner date just yet, because there are more details and a big announcement to come. It’s enough to make anyone lovesick! There is no maximum cashout applied to this bonus | Maximum bonus amount is $2000 | Bonus can be redeemed up to 3 times per player | General terms apply. $50 minimum deposit. Is Kev’s perfect date one spin away? This week's treat: 20 free spins on Aladdin’s Wishes if you made a deposit in the last 5 days. Fair Go T&C apply. Bonus is valid until February 13th. Play with us on Friday, Saturday or Sunday, you’ll be treated to 30% Weekend Cashback on every busted deposit made without bonus attached. Contact us to claim it. The wheel of love promotion is now live. There are probably some free spins on the wheel if anyone has time to spin today. Here's what I got on the first few spins. SPEND MEANINGFUL TIME TOGETHER WITH SHANGHAI LIGHTS. Intrigued? Soon we will introduce one of the weirdest but most original new game to hit our shores – Cubee! Come back on Wednesday evening to give this highly original title a crack! NO DEPOSIT NEEDED BUT NO 2 FREE CHIPS IN A ROW. 10 Bonus Spins ON TEXAN TYCOON SLOT. shirlsplay, Awesome! Thanks for the codes!